“Richard Lester Ager died on 20th September 1968, within weeks of his ninetieth birthday. [Born in Bedford and] educated at Rugby and Corpus Christi, Oxford, he became an assistant master at Bishop Stortford College in 1901 and five years later he was appointed Headmaster of Tettenhall College [Wolverhampton, an independent day and boarding school closely associated with the Congregational Church ]. He “returned to the ranks” in 1913 — if an assistant mastership at Manchester Grammar School may so be described— but again became a Headmaster in 1916, this time at Batley Grammar School. Finally, in 1922, he was appointed Headmaster of Alderman Newton’s Boys’ School, Leicester, a post he held until his retirement in 1945. During his twenty-three years as headmaster the school enhanced its already considerable reputation for scholarship of a high level, and generations of old boys, many of whom have achieved distinction in later life, have readily paid tribute to his sympathetic encouragement and wise counsel. “When Mr. Ager ceased to be headmaster, he “retired” only in a purely formal sense, for inactivity would have been unthinkable for one whose acutely perceptive mind still dominated a vigorously healthy body. Withdrawal from his life-long vocation as a teacher merely enabled him to devote more time and energy to his many personal interests. In this age of compromise it is stimulating to recall how clear-cut were his beliefs and how staunch was his defence of them. In his devotion to Liberalism and Congregationalism he was typical of the radical non-conformist tradition which at an earlier age was so strong in Leicester; yet for all his strength of conviction he was a tolerant man, ever willing to consider a viewpoint other than his own. Nor was his attitude ever parochial; his championship of the right of the individual found expression as much in his dream of a world at peace as it did in opposing injustice on his own doorstep. Above all, he was a delightful companion who could talk with interest and authority whatever the subject might be. “That a man of his erudition and culture should find himself attracted to the Literary and Philosophical Society followed almost as the night the day, and for twenty-five years he laboured ungrudgingly as its Secretary, a post he was still holding at the time of his death. The Society itself honoured him by electing him its president in 1954-55 and by later making him a life vice-president. “Another institution to benefit from his wisdom and generosity was the University of Leicester. He was for many years a member of its Council and served faithfully on its committees. He took an active interest in its spectacular growth in the post-war years, and it was fitting that in 1965 the University should confer on him the honorary degree of Master of Arts. There is some additional biographical information in the privately published Who’s Who in Leicestershire (Worcester: Bayliss, 1935). 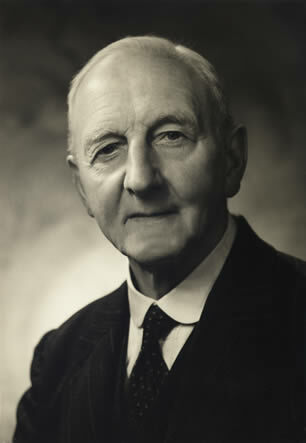 During his years in Batley he was involved in local politics serving as Vice-Chairman of the town’s Library Committee in 1922-23, while from 1926 he was a long-serving Assistant Secretary of the Leicester Branch of the League of Nations Union, Divisional Secretary of the Incorporated Association of Headmasters, and the national Chairman of the Modern Languages Association for 1932. Presidential Address: Transactions LLPS vol. 63 (1969), p. 16.